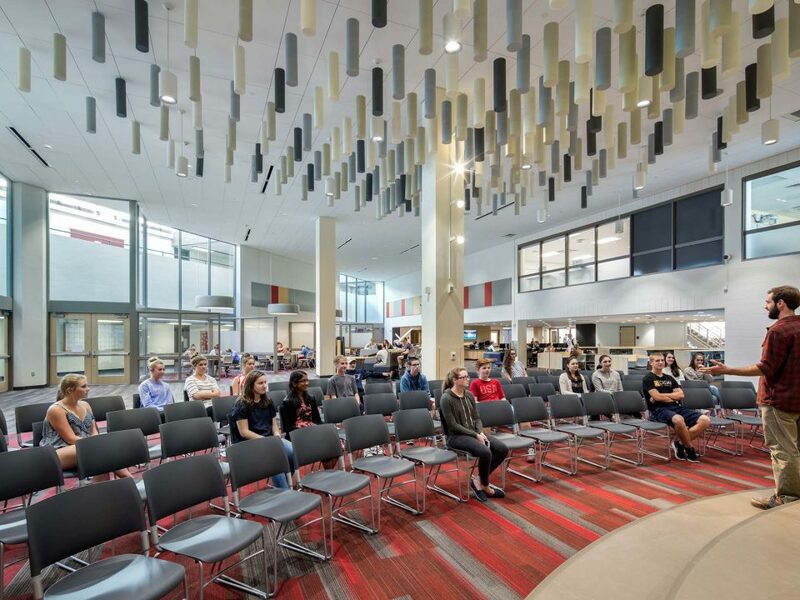 This 15,000 sqft project is a renovation of the existing gym to create new offices and a media center, along with a new and more welcoming entrance and drop off area outside. 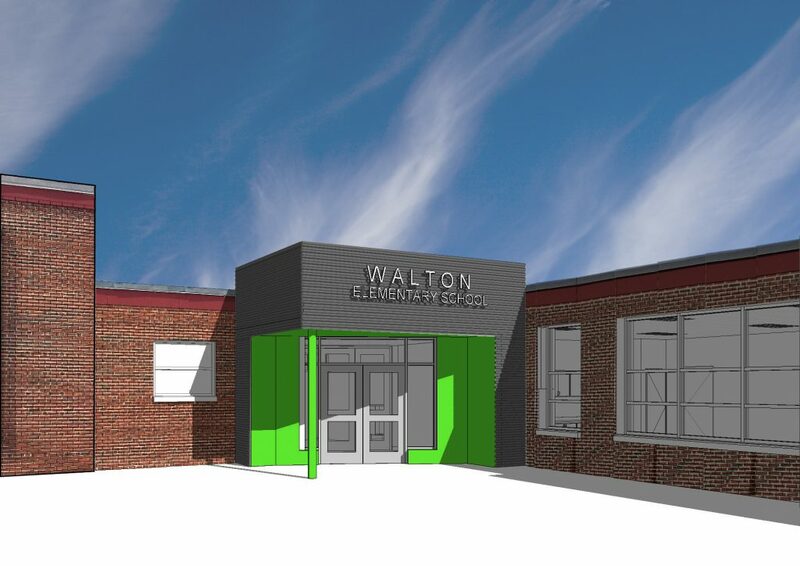 Also part of the renovation is two new classrooms in the existing building. 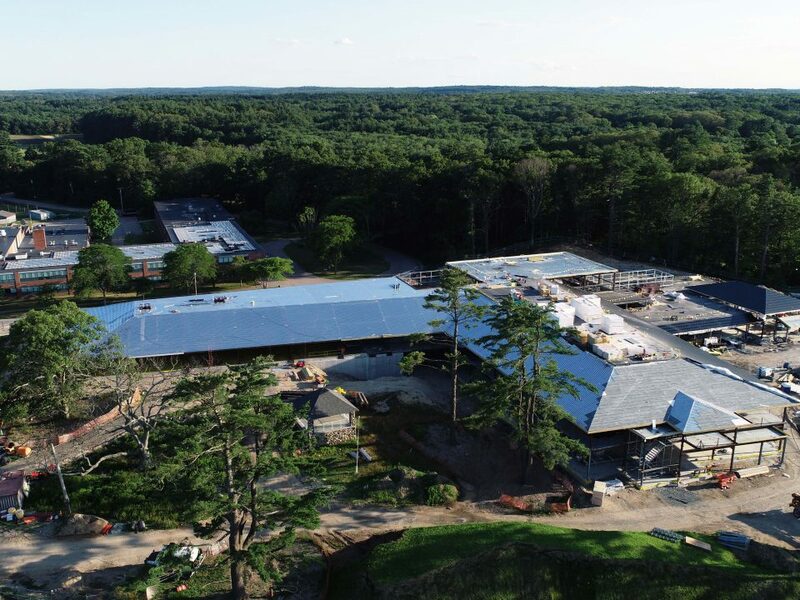 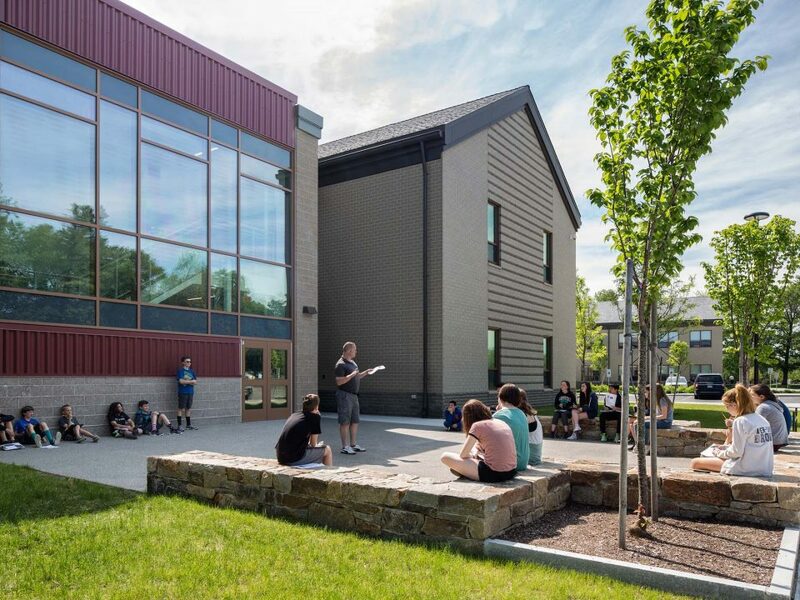 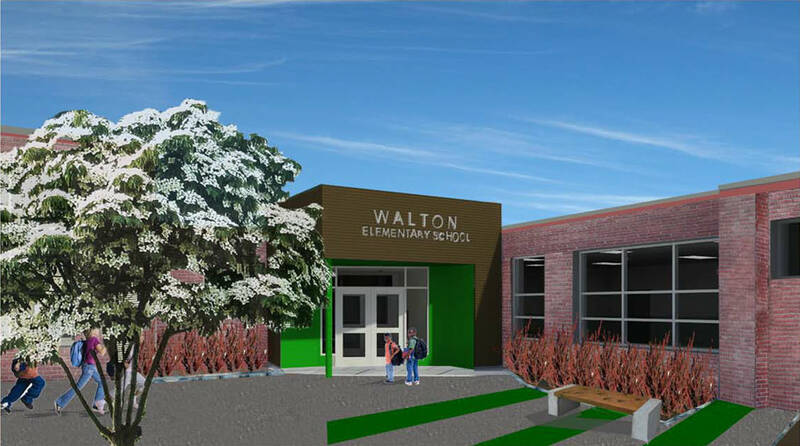 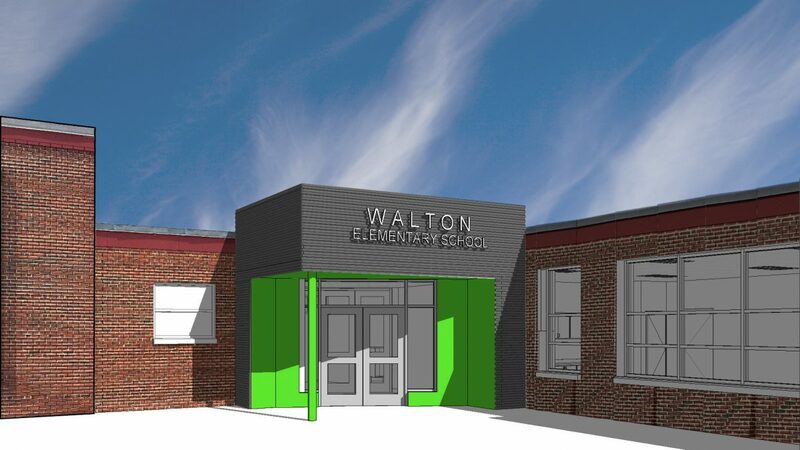 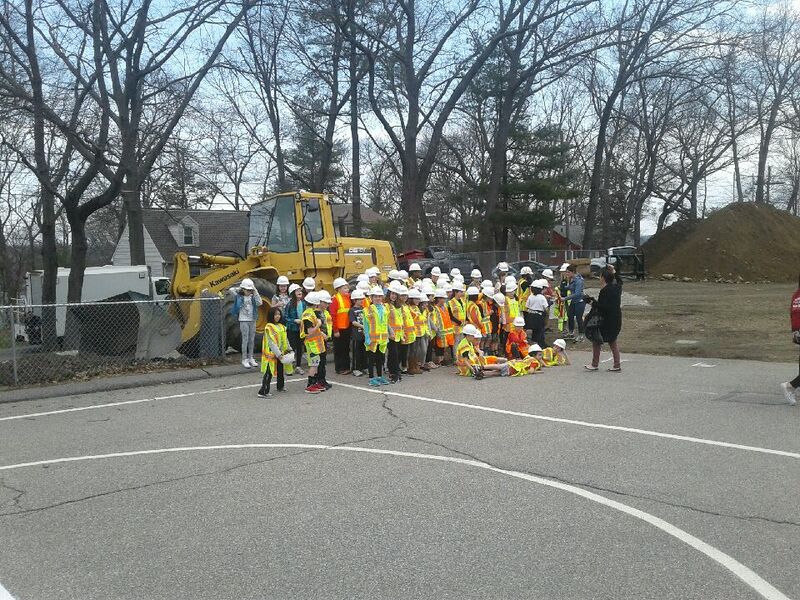 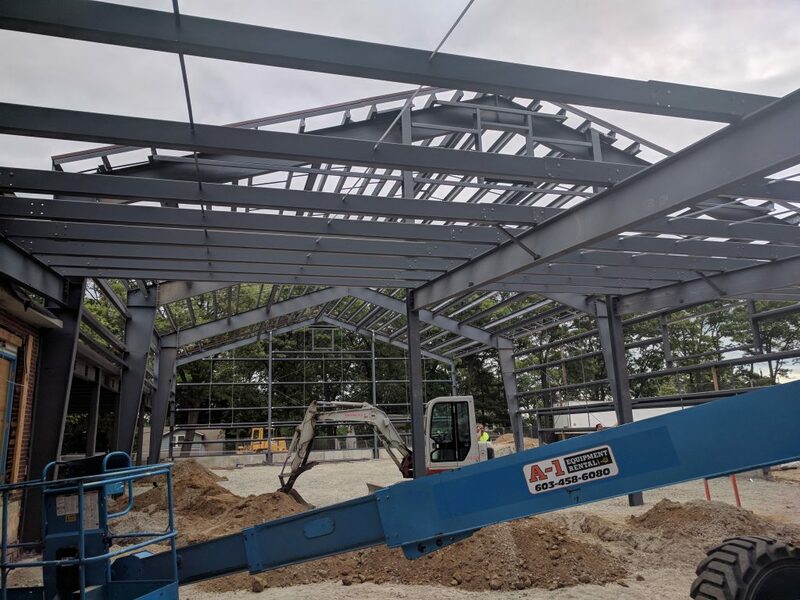 There is an addition to the school where the temporary modular classrooms were demolished, to create a new gym and series of auxiliary rooms and bathrooms including a designated art room.